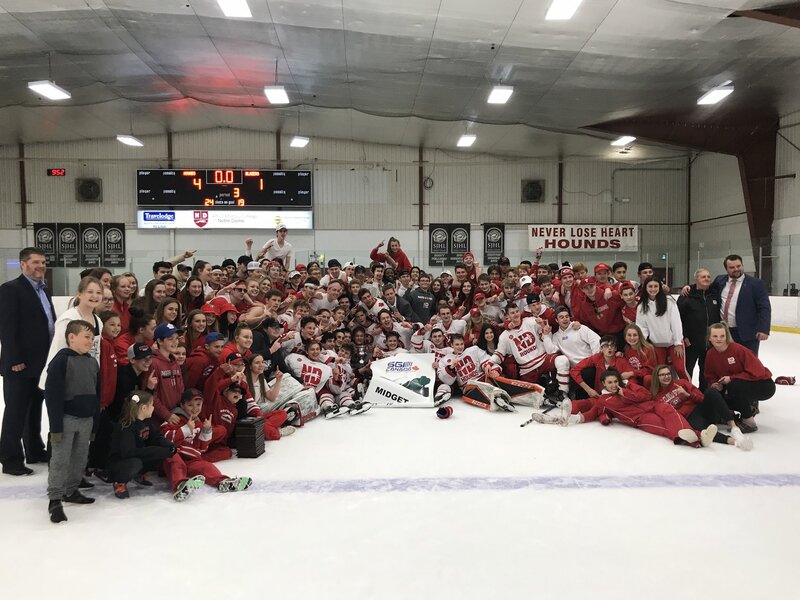 Notre Dame hounds are back-to-back Saskatchewan Midget AAA hockey league champions! Last night they defeated the Saskatoon Blazers 4-1 in game four of the league finals to win the series 3-1. With the win the Notre Dame Hounds are off to the Telus Cup Western Regionals in Tisdale next weekend.